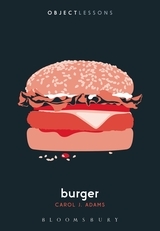 Along with personal stereo and veil and egg (part of a Bloomsbury series recently reviewed in the SAFN blog by Leslie Carlin), burger is a lesson in human material culture; the second to last page suggests a subtitle- “the everyday object of burgerness”. As such, it is also a lesson in the symbolic practice of burger-making and burger-eating, burger-buying and burger-selling… the living of our burger-lives. Part commodity chain analysis and part poetry, there is something for most everyone in the object[ive] of this series, which also fits in an average back pocket (the books are as portable as many of the items they are concerned with, which is certainly no coincidence). Most everyone familiar with the anthropology of food or with critical food studies of some other form is familiar with Carol Adams. I’ve long enjoyed re-deploying her provocative statements about the “sexual politics of meat” in my classrooms. While the conspiracy against women vis-à-vis beef is hard for some to swallow whole, few can deny either the power of her prose or the truth she speaks to powerful foods. burger is, like The Sexual Politics of Meat, a powerful work, if less overtly provocative or confined to the gender of things. At a few slightly awkward points Adams seems to be unsuccessfully reining her rant in, as she drops sharp lines like “cheap animal flesh on a bun” or “flesh-eating democracy” at the end of otherwise objective or bland sections on nutrition or U.S. history. Mostly the book is a superb invitation to contemplate both the pathetic lack of human imagination which drives contemporary burger innovators to simulate eating experiences that consumers assume are simply the results of primal human desires as well as the marvelous potential these same innovators see to further manipulate these cultural predispositions to accomplish such feats as reversing climate change. Adams begins with the fetishization of cow flesh (as opposed to pig or deer) in the Old Testament and amongst the Romans, for example, before reviewing what is argued to be its most creative and monstrous form and the Americans who have conceived it. Our hands get greasy from eating burgers at county fairs and lunch wagons and car hops. And whether we like it or not we’re stunned, as the animals themselves are stunned and killed, by the systemization of the animal market in flesh. The numbers of cows killed annually today, miles of fencing, acres of annihilated space, and tons of growth hormones and antibiotics that have been required to produce cattle at hyper-industrial scales are altogether mindboggling, as is the spectrum and percentage of environmental damage that can be attributed to it all. The reader weaves through popular literature such as that by Eric Schlosser and more scholarly foundations erected by the likes of William Cronon, mainstream movies and surreal art. It’s kind of a perfect pocket book, and yet Adams also asks questions I’ve never heard anyone ask, such as why no grand narrative of violence associated with killing bovines has ever been deployed to further celebrate the myth of masculinity vis-à-vis hamburger meat. The answers to this and other questions lie mostly in the histories of Western “technologies of violence”. Second to barbed wire fencing as perhaps the next most embodied form of structural violence in this story is the meat grinder, which “macerates and camouflages”. The resulting “whoppers” and “chubby boys”, as euphemisms for male erections, extend sexual dominance so far that perhaps there really is no need to also hone in on the specific violence perpetrated by mankind upon bovines. Mission accomplished. We move through semiotics and “interspecies history” in this way to biochemistry and politics and law to other disciplinary techniques used to reveal or conceal the scope and power of meat. One hamburger contains the DNA of more than a thousand cows. Ag-Gag laws and the “Animal and Ecological Terrorism Act” protect animal cruelty from acts of civil disobedience by conflating transparency on factory farms with terrorism. In this book Adams also seems to create perhaps the definitive history of the non-meat/veggie/in-vitro meat burger. While some of these sections may have less oomph than those previous (certainly reflective of the disinterest most of America has long seemed to have in non-meat patties), together they foreground the incredible point the country seems to be at in terms of the “cognitive dissonance” surrounding burgers. The founder of one promising non-meat burger company, Beyond Meat, suggests we think about meat in terms of composition and not whether it comes from an animal. As he says of his plant-based protein burger, “At the end of the day, what we are trying to do is getting meat to people.” Is this really the precipice of a new frontier in burgers? Yes and no I guess. We’re only human after all. That’s what we’re working with here in the end- our vast yet limited human potential, in terms of our relationship with animals, what we’re willing to put in our mouths, our capacity to understand the ways we follow capitalism’s lead and distract ourselves into not thinking about it, and what this all has to do with the Anthropocene. Adams lays out the bare bones as well as the myths we tell ourselves about burgers with unsettling and inspirational style. In so doing, she provides the uninitiated student and the casual consumer as well as the expert in critical food studies a handbook for the new burger age. Adams, Carol. The Sexual Politics of Meat: A Feminist-Vegetarian Critical Theory. New York: Continuum International, Oxford: Polity Press, 1990. Cronon, William. Changes in the Land: Indians, colonists, and the ecology of New England. Hill and Wang, 1983. Schlosser, Eric. Fast Food Nation: The dark side of the all-American meal. Houghton Mifflin Harcourt, 2012. Check out this opportunity for money and publication from our friends at the C&A section of the AAA’s for their student paper competitions. Feel free to apply or pass onto to your students! The Culture and Agriculture section of the American Anthropological Association invites anthropology graduate and undergraduate students to submit papers for the 2017 Robert M. Netting Award. The graduate and undergraduate winners will receive cash awards of $750 and $250, respectively, and have the opportunity for a direct consultation with the editors of our section’s journal, CAFÉ (Culture, Agriculture, Food and Environment), toward the goal of revising the winning papers for publication. Submissions should draw on relevant literature from any subfield of Anthropology and present data from original research related to livelihoods based on crop, livestock, or fishery production, forestry, and/or management of agricultural and environmental resources. Papers should be single-authored, limited to a maximum of 7,000 words, including endnotes, appendices, and references, and should follow Chicago format style. Papers already published or accepted for publication are not eligible. Only one submission per student is allowed. Submitters need not be members of the American Anthropological Association but they must be enrolled students (Note: students graduating in the Spring or Summer of 2017 will also be eligible). The submission deadline is September 1st, 2017 and all submissions should be sent to Nicholas C. Kawa via email at nckawa@gmail.com. If you would like to post a CFP on the blog, please contact Ruth Dike. In Sacred Rice: An Ethnography of Identity, Environment, and Development in West Africa, anthropologist Joanna Davidson presents a nuanced and in many ways classically holistic ethnography of rice production and the way this key crop ripples meaningfully through all aspects of West African Jola society. Rice is much more than a major food crop for the Jola of Guinea-Bissau: it is also the key idiom and central metaphor through which they express and negotiate household, community, gender, ritual, religious, political and economic relationships. This reality, which Davidson compellingly explores in thematically focused chapters, is all the more compelling given its contemporary unraveling due to climate change. Rice is central to Jola agriculture and identity, yet declining rainfall in the region is increasingly rendering adequate rice production impossible. Davidson’s book therefore revolves around two key questions: How does the centrality of rice production mediate social reality among the Jola; and in Davidson’s words, “what happens when this changes? 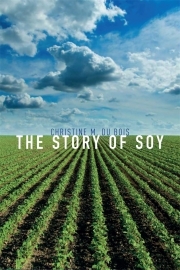 How does something so totalizing unravel and disentangle itself from spheres of social, cosmological, moral, economic, political, and familial life?” (8) She draws equally on theoretical literature and on details of villagers’ lives to address these questions, and in so doing presents a rich ethnographic portrait of agricultural and social transition. As an anthropologist, Davidson does several things very well, eschewing convenient tropes and easy essentialisms at every turn. Her constructivist caveats about African environmental studies, gender, the basis of knowledge, and the concept of “sacred,” for instance, subtly but critically remind us to avoid thinking through easily derived categories. The wealth of community-level data makes this possible, and pleasurable: she weaves together the lives of key informants with her own experiences in compelling ways. Her authorial presence is ample enough to humanize and ground her ethnography in rich and instructive stories, but they do not overtake the wealth of empirical data and theoretical contextualization that provide the book’s broadest foundation. We meet and hear the stories of real Jola individuals, and watch as their lives are clearly contextualized within macro-level data on climate, economics, demography, and national politics. The perceived value of “hard work” begins to unravel in the face of diminishing agricultural returns; families slowly turn to institutional educational opportunities versus subsistence production-oriented lives; and parental authority negotiates the new realities of unwed daughters returning pregnant from city schools. One shortcoming of the book is more likely due to an editorial miscasting than to any deficiency by the author. The book is part of Oxford University Press’s “Issues of Globalization: Case Studies in Contemporary Anthropology” series, but there is precious little globalization here—and in fact, there needn’t be. As anthropologist Ted Lewellen has pointed out, globalization too often becomes a totalizing perspective, the default analytical frame of reference, when the phenomena we seek to explain are often best addressed by local, regional, and national levels of analysis—with globalization simply offering another level of context. And so it is with Davidson’s exploration of Jola lives. Given the theoretical contexts the author offers throughout the book (Chapter Four on the role of secrecy among the Jola, and between Jola and outsiders, is as fascinating as it is theoretically rich! ), the paucity of scholarly attention to globalization studies is noticeable. Her book feels shoe-horned into Oxford’s series on globalization studies. Nonetheless, Joanna Davidson’s scholarly presentation of the interesting, holistic, and changing world of Guinea-Bissau’s rice-farming Jola is impressive ethnographic work, and useful for environmental anthropologists, development experts, agricultural and social policy makers, agricultural and food historians, and both undergraduate and graduate audiences. For anyone interested in the multiple and inextricable ways that social lives and material production are mutually embedded, in fact, this book provides clear evidence, good story-telling, and a case-study that continues to unfold. The Culture & Agriculture Section of the American Anthropological Association aims to expand its on-line and social media presence. We wish to highlight the research and policy engagements of our members as well as to promote our peer-reviewed section journal, Culture, Agriculture, Food and Environment (CAFE), within and beyond anthropological audiences. To this end, C&A has created a position for a tech savvy, anthropology scholar/practitioner to manage our site and, in conjunction with the Board and the CAFE editors, initiate new forms of electronic outreach. We envisage this position as particularly appropriate for an Anthropology doctoral candidate or new PhD with interests in agrifood systems, the environment, and digital media, but encourage anthropologists at any stage with appropriate background, skills, and predilections to apply. The position carries an annual award of $1500.00, with a possibility for renewal. Application materials: Please send a current CV with names of at least two referees (both academic and work-related preferred), and a letter of interest outlining relevant skills and experience. The letter should include suggestions for digital projects or activities to heighten and extend the appeal of C&A and CAFE. Examples of previous work are also invited. Please send materials to Lisa Markowitz (lisa.markowitz@louisville.edu). Deadline for applications is September 15, 2015.